KANSIMBA - 'PLACE of the LION'. Past research confirms that the region was once populated with lions many years ago. 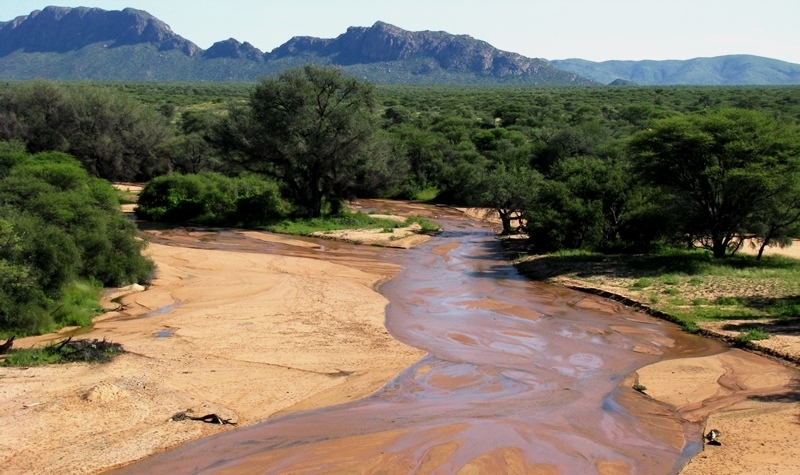 Kansimba is nested into a set of surrounding mountain ranges from which several river runs past into the lower lying central region, supporting valuable habitats and nourishment for the antelopes that populate the region today. Predators that are now still common and can be spotted on Kansimba regularly during day or night with our cameras include Leopards, Cheetahs, Caracal and the African Wild Cat. An interesting fact is that from the Hyena species, the BROWN Hyena has moved into this region to stay and can often be seen before sunrise and after sunset. Several drinking holes and dams situated over the entire farm land provide adequate drinking water needs for the antelopes. Some of the water holes are equipped with hides to attract visitors and photographers for a closer view of the different species that will visit that waterhole. 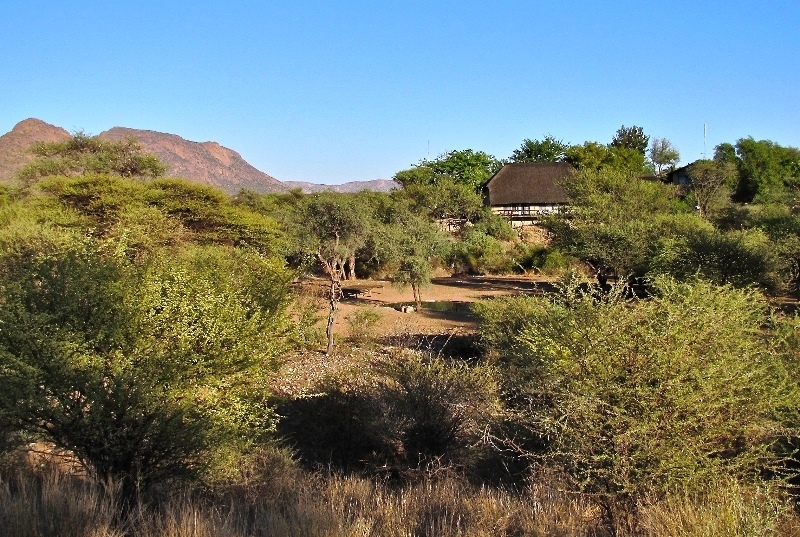 Enjoy our game drives through the bush or hike with us in the mountains where the bushmen once lived hundreds of years ago. Kansimba is the perfect getaway and offers something for everyone. Let the bush rejuvenate and inspire you. You will always experience total excitement during your stay, even if your day was not filled with what you expected to spot during a game drive you took part on. At the lodge you will see live pictures of the scenes that can be seen throughout the night at the different water holes. Up to eight cameras are installed at different drinking holes to capture and transmit the data via a network of antennas directly to your TV screen and the screen installed in the 'Lapa' where community viewing for all has been provided for. 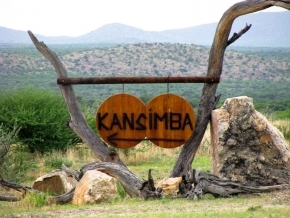 Kansimba Game Lodge offers wonderful accomodation and meals, famous hospitality, an abundance of wildlife and birds, professional guides and trackers and breathtaking scenery. Discover the freedom of wide open spaces, clear blue skies and fresh clean air. Enjoy nature at its wildest and most unspoilt. A stay at the Kansimba Game Lodge is the perfect antidote for the stresses and pressures of modern living. 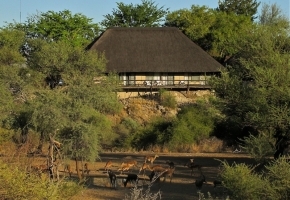 Kansimba Game Lodge is conveniently geographically situated in the heart of Namibia, North-West of Windhoek, the capital. 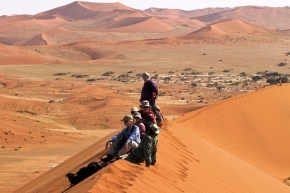 It is an easy drive and not too distant to reach a number of popular attractions, such as the Skeleton Coast, Spitzkoppe, the Great Dunes located near Swakopmund and Walvis-Bay, the Etosha Game Park and the Namib Naukluft Park. 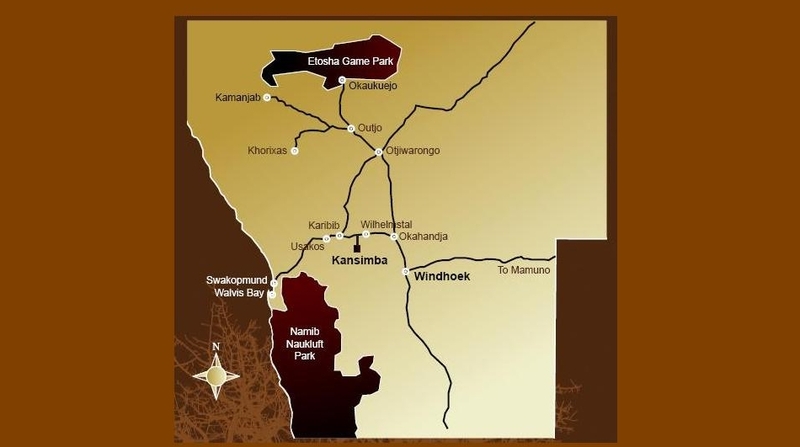 Kansimba could act as your permanent base from where you could comfortably reach most of these destinations. gravel road, whereafter you would have reached your destination. Transport from Windhoek International Airport to Kansimba Game Lodge will be in air-conditioned vehicles. This can be arranged on request by us. 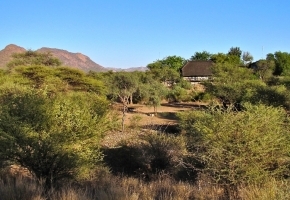 Kansimba Game Lodge has its own airfield as well, and the farm is a comfortable 20 minute flight from Windhoek. Flights can be either privately chartered, or arranged through our airtravel partner. 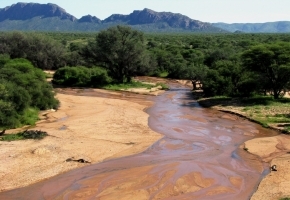 Namibia is generally hot in summer and mild in winter, with summer rainfall. 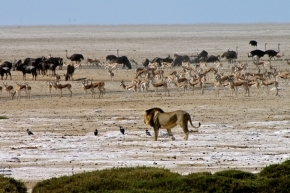 Best game viewing is during the winter months (May to September) when it is dry and cool, and game is more likely to be found near the water holes. 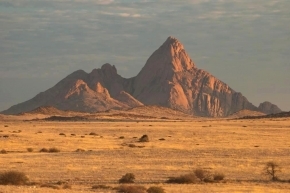 The official language of Namibia is English, but German, Afrikaans and native languages are also widely spoken. 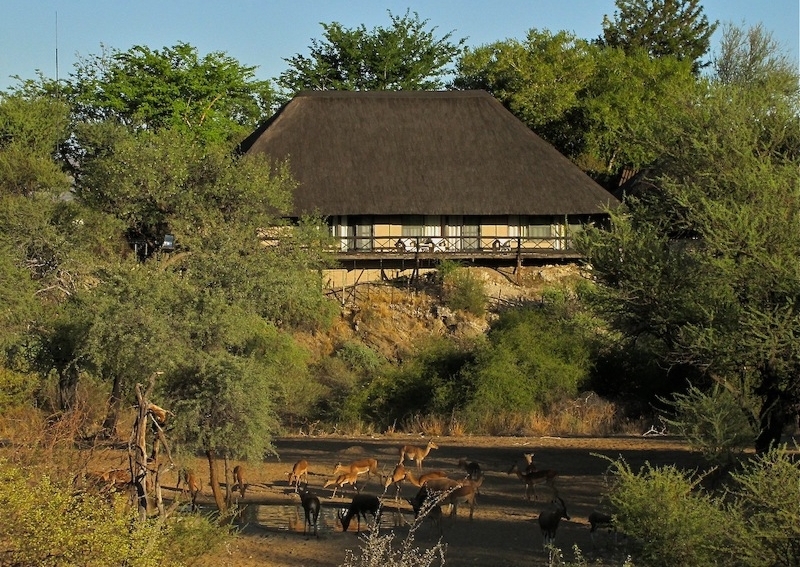 Staff at Kansimba Game Lodge are fluent in English, Afrikaans and German. Not necessary when one visits Kansimba but we recommend that anyone visiting the Etosha National Park take every precaution against being bitten by mosquitoes. Contact your nearest travel clinic regarding anti-malaria medication, as this varies from country to country and region to region. This movie clip was done just before we updated some parts and areas of Kansimba.